The U.S. Government has shutdown, some 700,000 workers told to stay at home and speculation rife that the U.S. is 2 weeks away from debt interest payment default, so it is not surprising that Doom and Gloom prevails as supposedly a new bear market has once more begun, right at the maximum point for seasonal weakness for the stock market. The perma bears and many other inexperienced but highly vocal market commentators can be found jumping up and down like demented rabbits proclaiming the likes of the "Top is In", just google the stock market and you will see an near infinite number of pages of commentary proclaiming that the bull market has ended, despite the fact that the same commentators never rode it on the way up! After all the stock market Dow price chart looks rather scary, with the Dow last closing down again at 15,133, now having fallen near 600 points in less than 2 weeks, and charts for other stock markets such as the FTSE look even worse! The bottomline is this the US government shutdown is GREAT NEWS! because for bull markets to persist and continue they NEED BAD NEWS every few months, THEY NEED MOST PEOPLE TO BE SKEPTICAL, TOO AFRAID TO INVEST! And so it continues to be the case for the DURATION OF THIS BULL MARKET, where over 90%, NINTEY PERCENT OF Market commentators have been WRONG and continue to be WRONG, Everyone who has just proclaimed its END IS WRONG and Will BE CRUCIFIED, just as they have been crucified at every market turn for the past FIVE YEARS ! Off course I could MISS THE TOP, off course I could for I don't have a crystal ball, instead all I have is my now near 30 years experience of trading, investing and analysis, which has kept me on the RIGHT side of this BULL market for FIVE YEARS! So Yes, I could be wrong, after all at the time of the top it will be a 50/50 chance, but getting it wrong once in 5, 6, 7,8 years? would not be so bad when compared to those that get it wrong every few MONTHS! As I voiced in my last ebook - Stocks Stealth Bull Market Update 2013 (FREE DOWNLOAD), the real secret to investing is RISK MANAGMENET, I long since cycled OUT of most of my stocks holdings and INTO the UK housing market, i.e. down from a peak of 40% of wealth invested to currently around 17%, as against about 64% in UK housing, after all the stocks bull market is a MATURE bull market ,and the housing bull market is a NEW bull market. 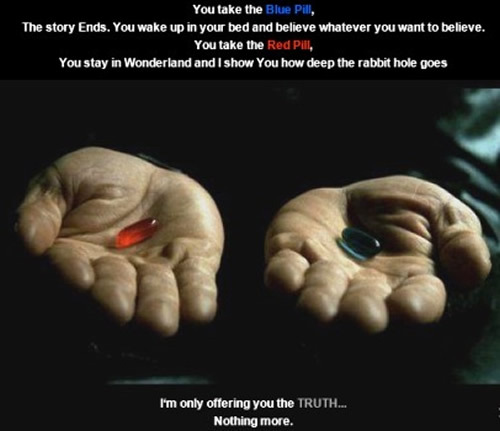 Ensure you remain subscribed to my always FREE newsletter for your next dose of the Red pill. My focus for the past 6 months has been mainly on the housing market as that represents the best risk vs reward profile, then stocks with gold and silver a very minor part of my portfolio i.e. less than 3%, so I see silver particularly as a long-term investment, I scaled in at under $24 and my target is to exit at around $48. My last long-term silver position was scaled into at under $12 and exited at an average of $34 after an approx 4year wait, so exit / target could be another 3.5 years away. As we are seeing with the current Royal Mail issue despite many people saying it was a dead loss a few months ago it has turned out to be oversubscribed, as they are promising high dividends. People are being herded into stocks to chase any kind of yield. Meanwhile gas prices about to rise another 8% and Iam still waiting for the much vaunted deflation! 1. They are academics living in ivory towers heavily invested in theories that don't work. 2. They are clueless commentators that just regurgitate academic theories, you can see this in their articles which are nearly always cut and paste jobs. 3. They are journalists who think they are economists and thus are even more clueless than the academics. This is why over 90% of whats out there is garbage. "Inflation in the eurozone dropped to a more than three-year low in September, Reuters reports, via The New York Times. According to data released by Eurostat, annual inflation in the eurozone as of September was 1.1 percent. This is down slightly from August’s value of 1.3 percent and down significantly from corresponding values in 2012, which came in at 2.6 percent. That means that inflation is down by more than 50 percent from its values a year ago." Your contradicting yourself in your own post. Eurozone has INFLATION NOT DEFLATION! Prices are STILL rising - EXPONENTIALLY. Rather than engaging in circular arguments you need to go back to square one and re-think about what your trying to say before posting, because it is CONTRADICTORY, does not make sense. I have to get on, as I have a load of work to do on role the housing market plays in debt slavery, so unless I see some thing that is at least logical, it is unlikely to result in an exchange. I wasn't expecting a textbook answer to my post. 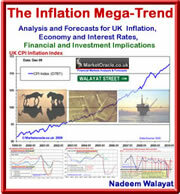 1.1 % INflation is considered below the level to ensure growth and employment. So meaningful INflation is nowhere in sight. When you have ANEMIC inflation it means that Depression for the 99 % is just around the corner. (It's actually already there). Your predictions of increased inflation are plain wrong (unless you're referring solely to the U.K. housing market on which you are clearly an expert). The Trussell Trust reveals 350,000 people have received emergency handouts since April, while government poverty tsar, Frank Field, condemns figures as ‘shocking’. The Chinese, Arabs and Russians can continue pushing up the price of U.K. housing, but the Anglo-Saxon Capitalist Ethos is totally discredited. Zoom out of the month to month volatility and look at the trend which is EXPONENTIAL !